What Happens On An Ale Ambassador Day? - Cask Marque What Happens On An Ale Ambassador Day? What Happens On An Ale Ambassador Day? 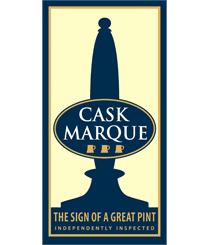 Thursday 24th May 2018 – The day of the much anticipated Cask Marque ale ambassador course had arrived. The reward for scanning 500 pubs on the ‘World’s Biggest Ale Trail’. 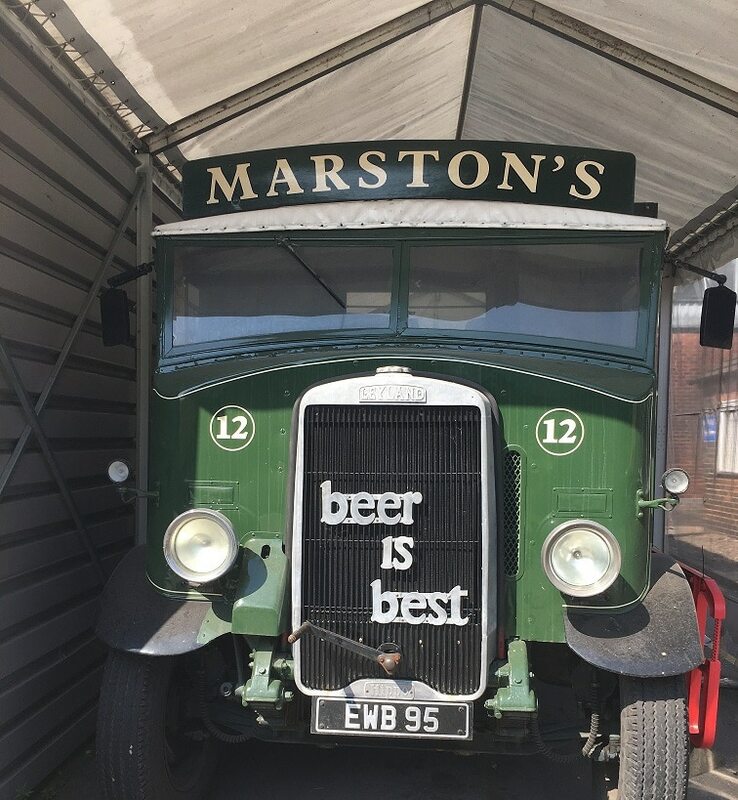 There was an air of excitement from the committee as we assembled at the famous Marston’s Brewery. Annabel, our fantastic host for the day, was on hand to meet and greet us and to point us in the direction of the most vital drink other than beer – coffee! Whilst there, it was also a good opportunity for us all to scan the Cask Marque certificate on-hand. The day was a mixture of classroom-style lecturing and practical activities, along with some good old fashioned ale drinking! Annabel had the most encyclopaedic knowledge of all things beer related, answering almost any question we threw at her and more! She kicked the day off with a history of Cask Marque, where they came from, why they were formed and what they do now. I must say, there seems to be an awful lot of hard work that goes into getting the perfect pint, and they cover this, right from the grain and into the glass! We came to learn of their very high standards and their teaching and guidance in striving to reach these. I have to take my hat off to Cask Marque for all of their efforts. Then it was off to the brewery tour and the chance to see the impressive Burton Union method in action – the last brewery to do so in the UK. I think this was a surprise to most of us on the tour. Back in the classroom, we discussed the history of beer, the different types, and their ingredients. We sampled the scents of different hops, tasted a variety of malts and how they are used to build up the flavours, and the importance of them in the brewing process. A session in the cellar followed where Annabel showed us how to change a keg. Each of us had a go – it was nice and easy! Then we moved onto the cask – discussing how to treat the cask from delivery through to its final pint. It was enlightening to understand just how many steps there are in the process, and how each of these steps can lead to a less than perfect pint. We all had a go at venting and tapping a cask, plus some emergency replacement of a damaged keystone and re-tapping a cask! It’s harder than it looks! No ale was harmed in the changing of the cask – luckily it was a teaching aid filled with water! Out of the cellar and back to the bar, where we had a go at pulling a few pints ourselves with a little instruction from Annabel and some food served to wash it all down with. Back in the classroom, we discussed the Cask Marque assessment that pubs go through – including what the assessor looks for with the clarity, aroma, temperature and taste of the ale. Lots of information was covered about the off flavours in beer and what causes them. This led to the ale sampling – the part that many of us were anticipating. We were given 10 doctored samples of ale – all replicating the off flavours that the Cask Marque assessors look for. Astringent, diacetyl, medicinal – the taste buds were certainly tested! In fact, this is the same doctoring process each assessor gets tested on themselves twice a year, though the condition of their assessment is a lot more stringent. The day finished off with some great beer tasting and food matching at the bar. I’m now a firm believer that a glass of porter with a desert is the way forward! Many thanks to Cask Marque for the opportunity to attend the ale ambassador day, to Marston’s for facilitating it, and to Annabel as her knowledge, expertise and teaching made it a day to remember. If you’d like to become an ale ambassador and attend a brewery taster day, download the FREE CaskFinder app and join The World’s Biggest Ale Trail.